QBOchat is powered by Iconis Group, LLC, which is a Premier Intuit Reseller. We can provide you with some of the best discounts on the market. Below is a summary of our current discounts. Just click the link to get your order started today! The basic QBO version, great for businesses that are just starting out. 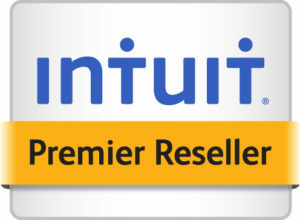 The middle-level subscription of QuickBooks Online. This is great for most simple businesses. This is the top-level QBO subscription. Great for inventory tracking, tracking costs by customer, and utilizing budgets. This is Intuit's new mid-level product providing you with more user settings and higher levels of list items. Not sure which version is right for you? We've put together a guide to help you decide. When you sign up for payments through us, you'll get a discounted price on your swipe and keyed in rates. Below is the current pricing for QuickBooks Online Rates. The email address the user will use to access Intuit "My Account". This information is required for all orders. Inaccurate email address information will delay your ability to access your order. The email address for the master admin on your QuickBooks subscription. This can be changed at a later date. Yes, I'd like to be contact about setting up QuickBooks Payroll at a discounted rate. No, I'm not interested in setting up QuickBooks Payroll at a discounted rate. QuickBooks Payments allows you to accept credit card payments on your invoices or sales receipts or even accept ACH payments from your customers. We are able to pass on a discounted rate to you on the processing fees. Yes, I'd like to be contacted about setting up QB Payments at a discounted rate. No, I'm not interested in setting up QB Payments at a discounted rate.